A roof is the most important part of your home that protects the structure and your family against storm, heavy rainfall and snowfall. However, this important part is susceptible to various damages over time. If the roofing of your home gets damaged, you may need to replace the old roof with a new one. However, installing a new roof is not easy and requires professional expertise. It is here our company, beneficial roofing steps in to offer help with roof installation. We offer a range of services in the field of roofing as mentioned below. Although the roof of the home safeguards the structure from various catastrophes, it is vulnerable to a number of threats from time to time. For instance, it is likely possible that heavy snowfall might have cracked the roof at certain places. If not fixed on time, such cracks can lead to total collapse of the roofing that could be dangerous and disastrous. However, with our expert services, you don’t need to bother about these issues. Whether your roof has multiple small cracks or the shingle is misplaced, we are able to fix the problem quickly. Roof inspection and maintenance is essential to increase the lifespan of the roofing. However, maintaining and finding roofing issues is not as simple as you might think. It is possible that you may miss out minor roof problems during an inspection. Also, it is likely that you do not have time for maintaining the roof. You can do away with all such issues by hiring our services. At beneficial roofing, we have expert technicians who can service, inspect and maintain any kind of roof. We check your roofing at periodic intervals and ensure your roof is in good condition to protect your home and family. Despite proper care and maintenance, the roofing of a structure will need replacement in case of a major damage. In such a situation, if you try to replace or install the roof on your own, you could end up damaging the roof in addition to injuring yourself and others. It is best to leave the job to a professional contractor. Our company has trained professionals who carry years of experience in replacing and installing various types of roofs. Whether you are looking for roof installation or replacement, our expert team is able to do the job professionally to your fullest satisfaction. 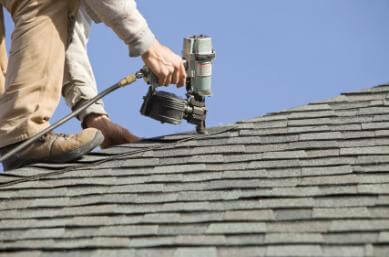 You will find many roofing contractors in Murfreesboro. However, most of these contractors offer poor quality services at high rates. At beneficial roofing, we have trained experts who are ever ready to resolve your roofing issues. Whether you need help with roof repairs, inspection or installation, we are in a position to help you as required. Best of all, we charge reasonable fees for our expertise. Additionally, we provide warranty on our services. In case anything goes wrong within the warranty period, you can call us to fix the issue without paying anything. taking care of your roofing is paramount to increasing the longevity of the roof. However, paying attention to important details and problems with the roof is not an easy chore. You need a professional company that can help you with these chores. At beneficial roofing, we have experts who are able to take care of roofing repairs, maintenance, and roof installation. just give a call to try our services and we promise, you will get the best services available in the market.